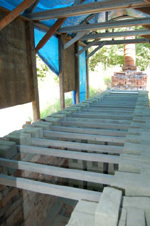 SLEEQ™ kiln shelves can be used in many types of kiln such as gas kiln, wood and salt kiln, and tunnel kiln. Use temperature up to 1600 ºC (2900 ºF). 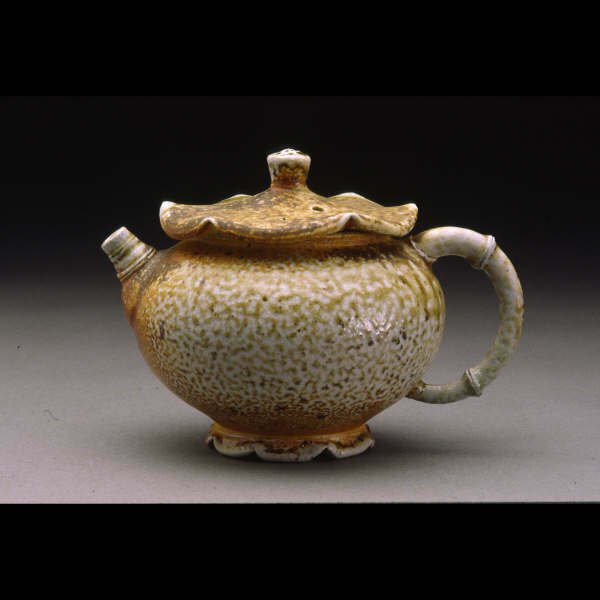 Users include pottery professionals and industrial engineers. 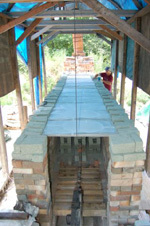 Wood-fired kiln building workshop in Avon, Minnesota, June 9-11, 23-25 and July 12-15. Led by local artists JD Jorgenson (www.jorgensonpottery.com) and Mike Carlson, and co-sponsored by Alpha Materials, this three-session workshop teaches the fundamental techniques of firebrick making, kiln design, construction and firing. Kiln furniture consists of SLEEQ™ shelves and support bars. Photos from workshop by Jorgenson and Carlson in Avon, Minnesota, June-July 2006. This kiln is designed by the artists. "The shelves held up really well in our large wood and salt kiln." - J. Martelle. 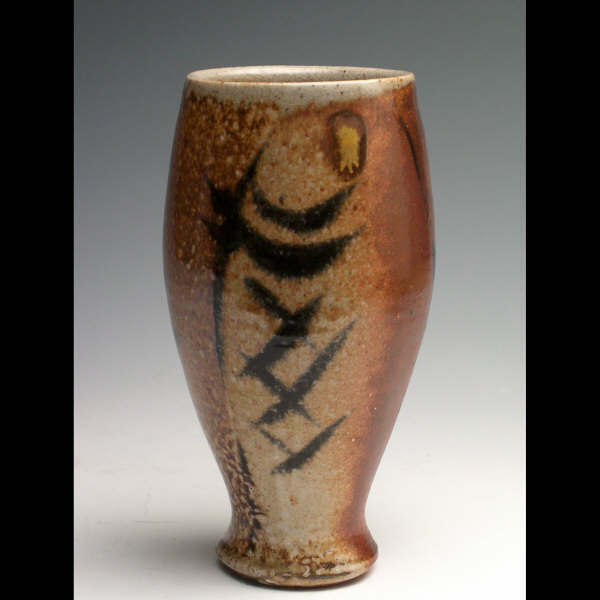 Functional ceramic artist, Nebraska. 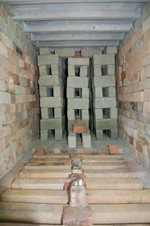 "I fired to Cone 10-11 (2385 F) in a natural gas fired kiln. The small amount of glaze that stuck to the kiln shelf was easily removed. I am very pleased with the kiln shelf" - B. Jackson. Potter and glaze artist, California. "...Your shelves held up very well [with salt/soda firing]...I will recommend your product to other professionals I know." - Jason Bohnert. Owner of JB Pots Studio, Suite 15A, Seneca Center, 709 Beechurst Ave., Morgantown, WV 26505. "...They are so thin...They are wonderful!" - Roger Mathews. Owner of Mathews Gallery www.mathewsgallery.com and Art Professor of Butler Community College, Kansas www.butlercc.edu. "...I've used your shelves in a soda kiln and they have worked wonderfully!" - K. Jackson. Staff, Archie Bray Foundation, Montana www.archiebray.org. "...I've put significant weight on your shelves and they are still flat...The shelves clean well too." - B. Goodman. Art Professor, Hibbing Community College, Minnesota www.hcc.mnscu.edu. Email us for pricing and ordering information. Benefits listed are based on general observations of our experienced users. Product performance varies with operating condition, post support and load.